Build your own Techno-Cucumber! Tim & Puma Mimi show you how to do it: a supereasy DIY-Kit for soldering. Works with eggplants too. For 3 years, Tim & Puma Mimi have been playing liveshows around the globe using an «electrified cucumber». The cucumber became the secret star of the show. That’s not meant to be a magic trick, we want to give the fun to our fans, too. 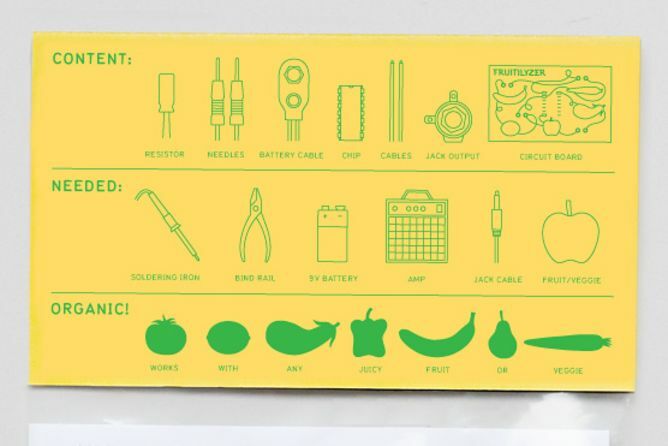 With a super easy DIY-Kit you can electrify your own vegetable or fruit. Super-Mario would get an extra life. 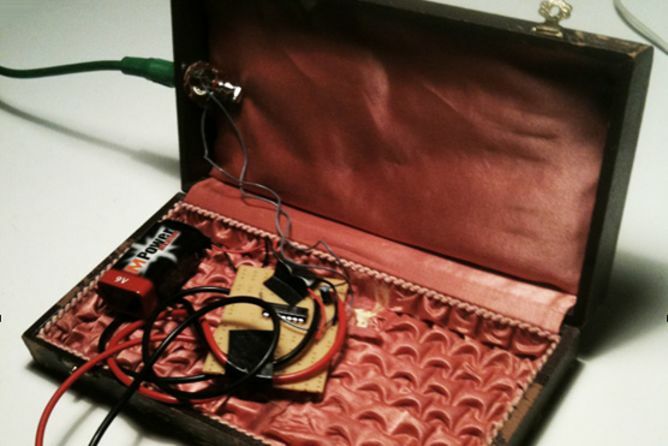 In addition to the DIY-Kit you need a soldering iron, a 9V battery and an amplifier, like a guitaramp (and cable) or active speakers (like the ones you plug in your computer). The prototype is working, now we have to get the material for the DIY-Kit, design a nice instruction sheet, acid the circuit board and pack it nice. Tim & Puma Mimi send you a postcard from their next tour. You get the DIY-Kit to solder by yourself. You get the DIY-Kit to solder by yourself and the last CD by Tim & Puma Mimi. 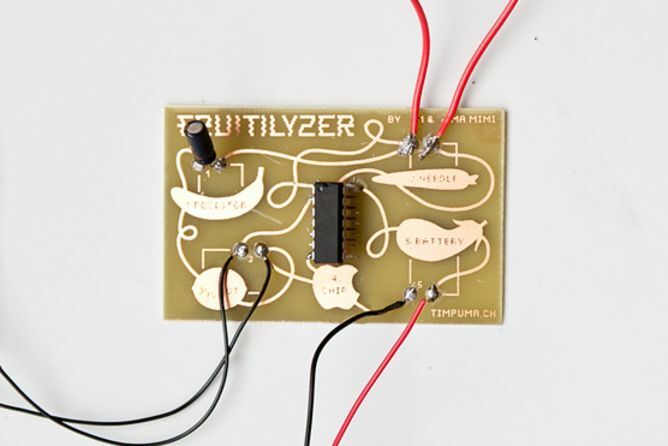 You get the Fruitilyzer already soldered by us, ready to use (but without box). 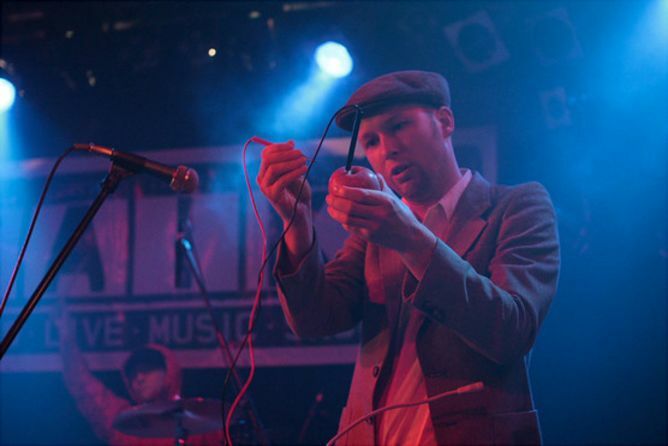 You get the Fruitilyzer already soldered by us and the latest two CDs by Tim & Puma Mimi. 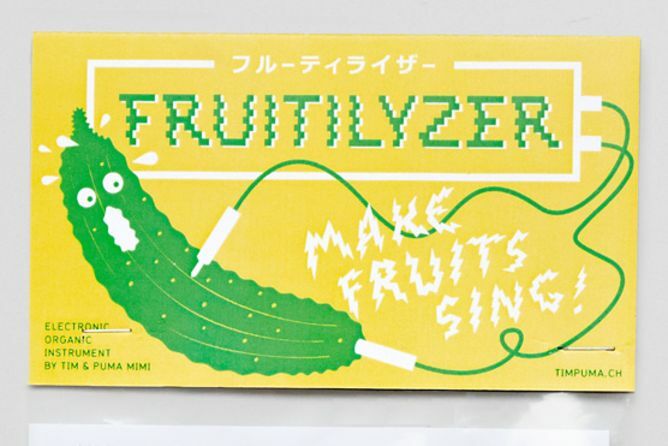 You get the Fruitilyzer already soldered and built in a wooden box. You get the Fruitilyzer already soldered and built in a vintage sterling cutlery box. (Tim-style). 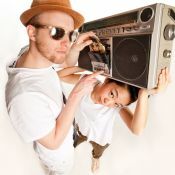 Tim & Puma Mimi – The quirky electro duo from Zurich and Tokyo.